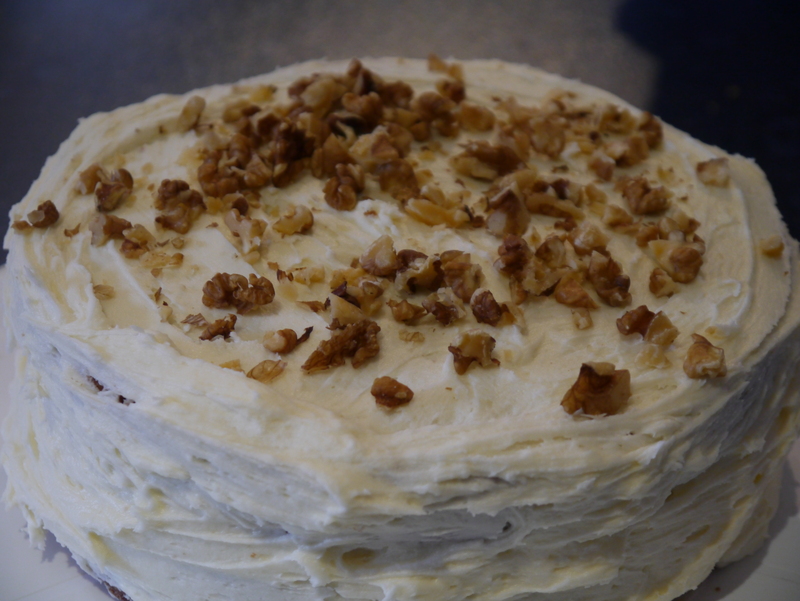 My husband’s favourite cake is carrot cake. As his birthday is coming up I decided to make him one. The problem is that I don’t actually like carrot cake. I don’t like cinnamon or walnuts and I am a firm believer of vegetables staying in the savoury courses. 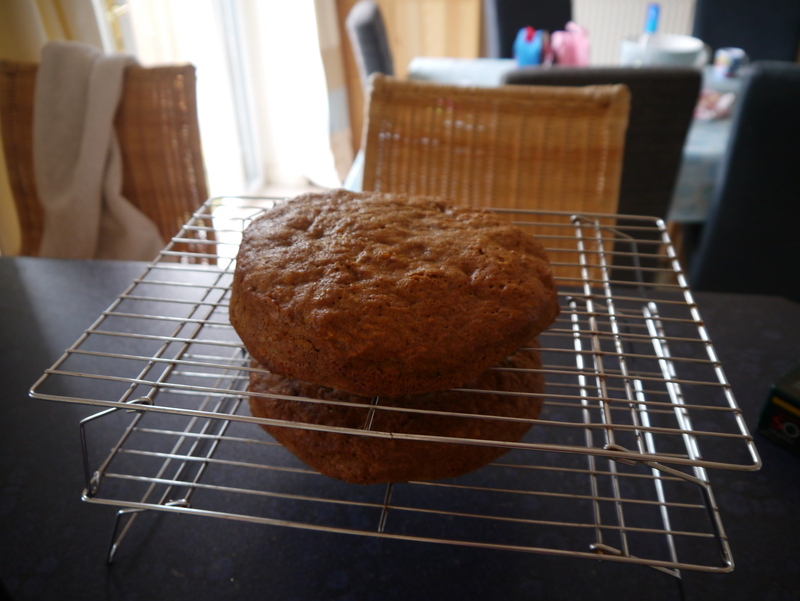 As I’d never made a carrot cake before I decided to have a practice go, so when the kids asked to make a cake on Saturday I thought that we might take the opportunity. The first thing I want to say about this cake is that it somehow managed to make twice the mess of normal cakes. I’m a tiny bit of a control freak when it comes to tidying up as we go during baking. As such I was rather stressed when we had batter, grated carrots and chopped walnuts all over the kitchen. But hey ho, the kids were enjoying it and were very excited about carrot in a cake. We muddled through and all had a go at mixing. When the cakes came out of the oven they weren’t the prettiest in the world but a cake leveler and a lot of cream cheese frosting made a decent job of it. I’m reliably informed that it tasted brilliant. The speed it is being demolished by my family is a good indicator, as is the fact that my daughter had a tantrum about wanting more before bedtime tonight. The recipie is below for anyone who would like it, it is slightly adapted from the Hummingbird Bakery Cookbook. Place the sugar, eggs and oil and vanilla extract in a free-standing mixer and beat to combine. Place in the preheated oven for about 30 min or until a cake tester / knife comes out clean. 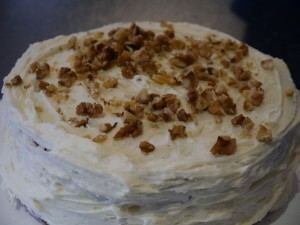 This entry was posted in Large cakes and tagged baking, carrot cake, children, humming bird bakery, mess, Recipe.